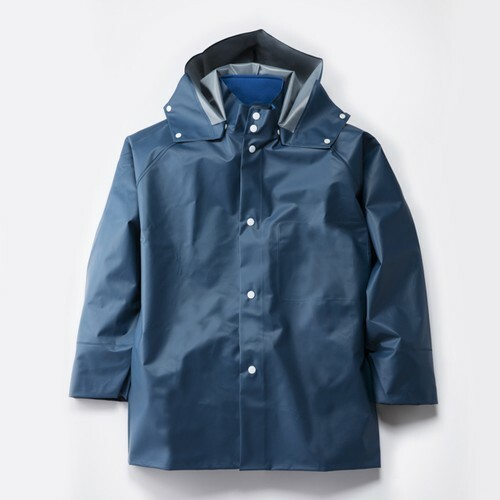 This rainwear for the professional use is developed by a factory specialized in rainwear. 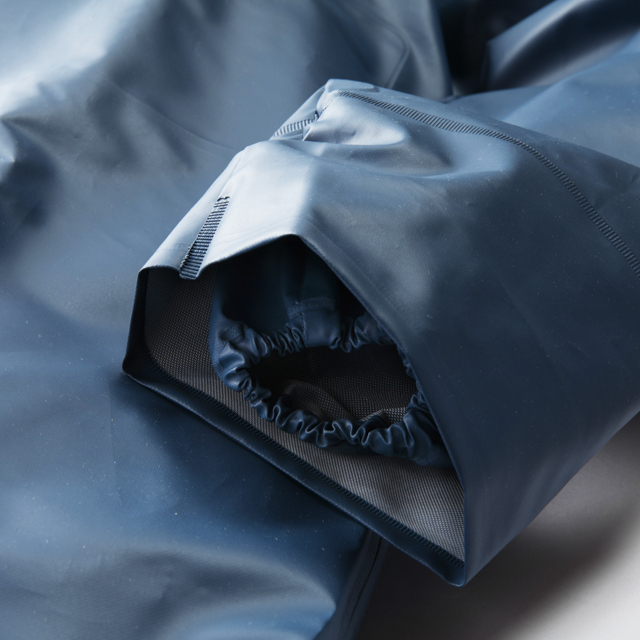 The original textile, lightweight and tear-proof, is sewn inside the factory by thermal adhesion. The hood is removable. 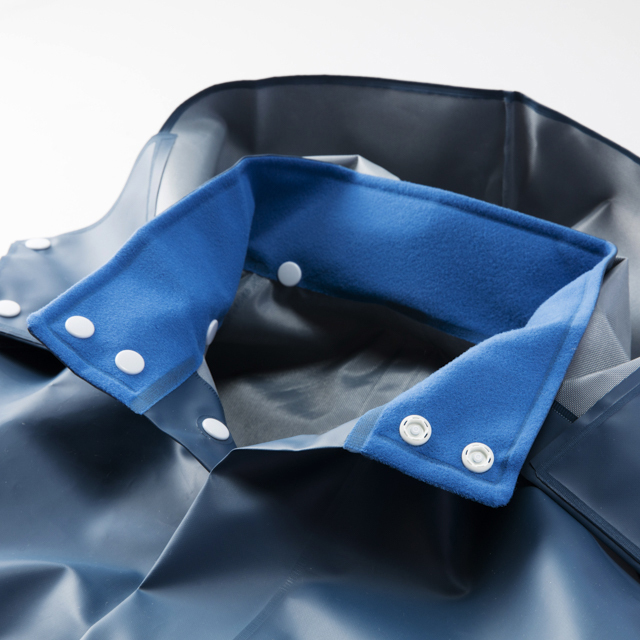 The front part and the sleeves are double-layered for water prevention. A pocket is attached inside to keep small things. 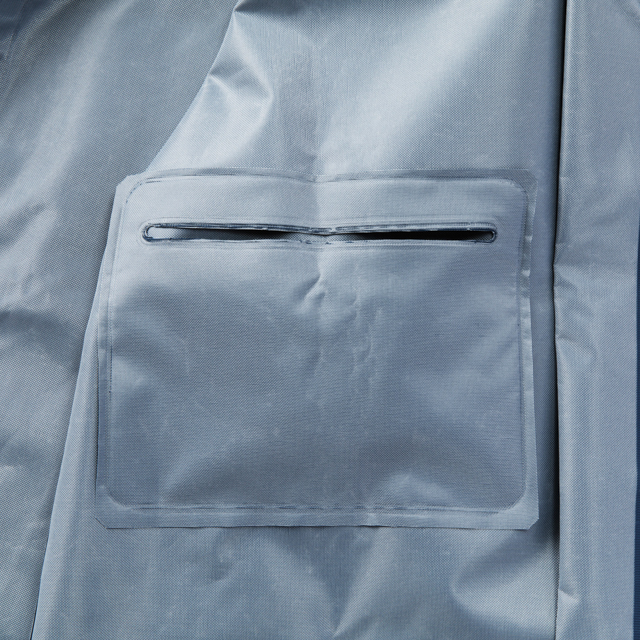 The back side is made reflective with a line of tape for night safety. Recommendable for work on a rainy or cold day. ※ This is an original product by SAGYO, custom-designed and ordered to the factory. ※ A patch for repair is included (this rainwear can be repaired easily with normal glue).